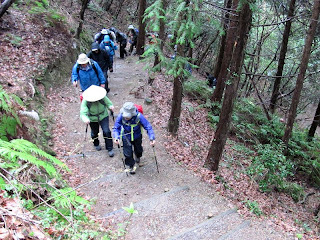 We hiked today from Temple 11 (Fujidera) to the Temple 12 (Shosanji). 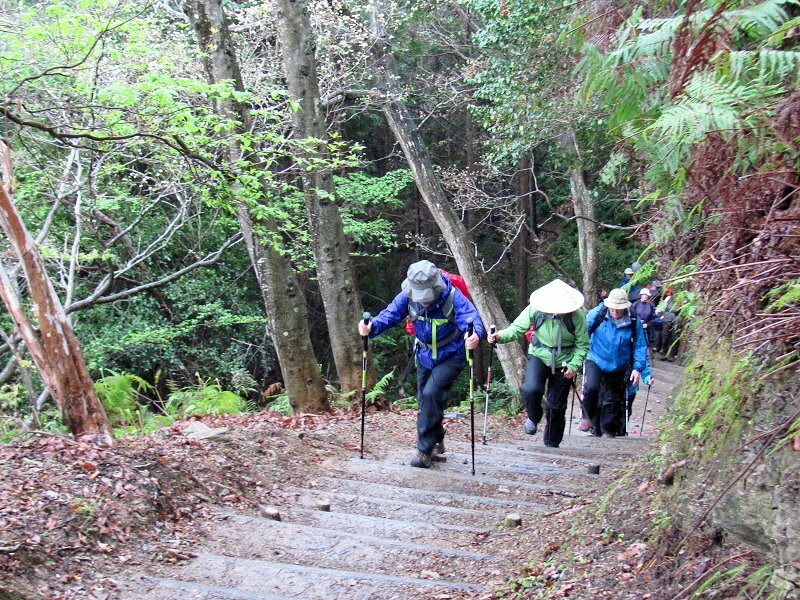 Shosanji is the first mountain temple on the pilgrimage route. Today's hike was almost entirely on a mountain trail, so a marked change from yesterday's walk between Temple 1 and Temple 5. 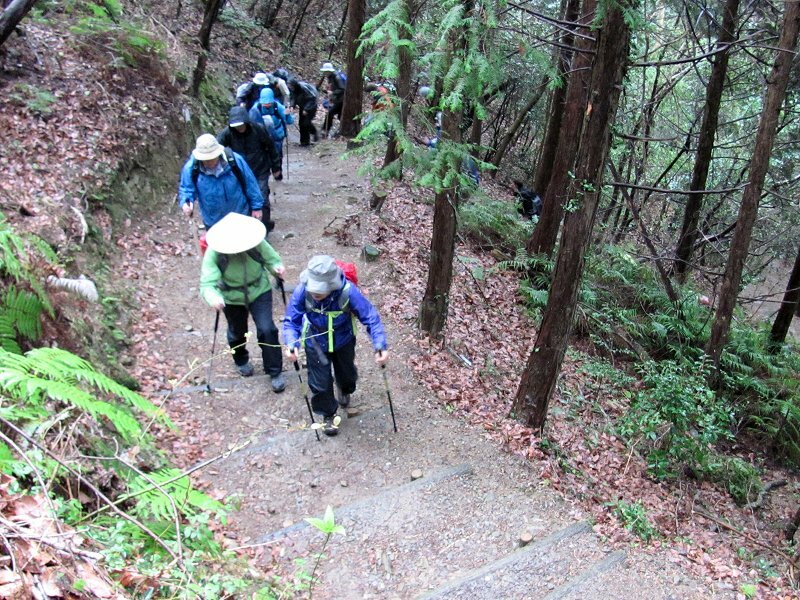 Here is our group ascending the trail a few minutes out of the Fujidera temple compound. 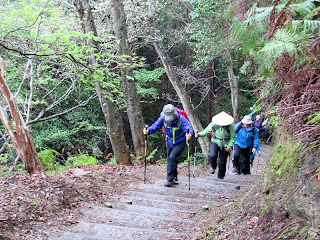 It rained all day today during our hike from Fujidera to Shosanji and the winds were brisk, so that added a bit of challenge to the hike (12 kilometers, 3,500 feet of elevation gain and 1,500 feet of elevation loss). We all earned the Shosanji temple stamp today!